'All Comes Back To You' gets Purified. Under his ReOrder alias, the last 12 years have seen Tibor Tomecko bring clubfloors an expansive range of trance riches. Taken from his debut album IAMREADY, the Slovakian dropped its vanguard single through Black Hole Recordings September 2018. An outing as emotionally elevating, as it is floor-forceful, All Comes Back To You has set a mighty precedent for his long-player. Now to top it all of mister Pure Trance takes All Comes Back To You to another level. 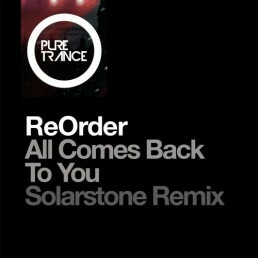 While channeling the themes of ReOrder’s original vision, Solarstone sends the track into deep trance space. Close your eyes and prepare to get elevated by this warm and intense piece of pure trance. Out now on Pure Trance Recordings in its expanded version. Deep and dark, expansive and Pure. The stunning original version of ‘When Faith Fades’ by Jack Høye was released on Pure Progressive last year, it was deep and dark - but hinted at something more expansive – a further development of its melodies and progressions. 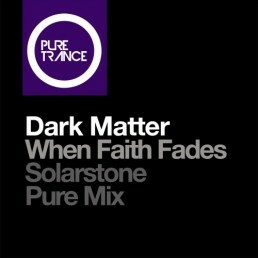 For Pure Trance Vol. 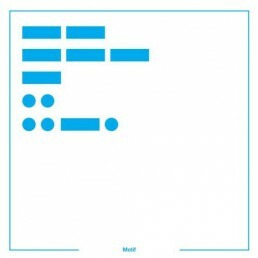 7 Solarstone retraced its steps - expanding it into one of his most ambitious Pure Mixes to date, full of lush melodic twists & turns, a beautiful, breakdown and a driving arrangement which never relents on its power and urgency. Now it is here in its full ‘Expanded’ glory. 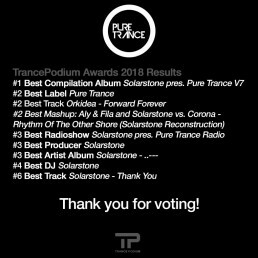 Thank You for supporting Pure Trance and myself in the 2018 Trance Podium Awards! The second coming of Shield. 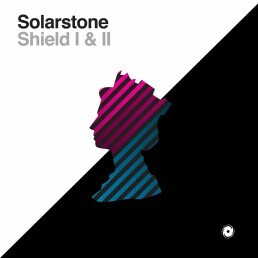 The second coming of Shield, Rich Solarstone once again delves into his string section for PT. II. Finding that infinite equilibrium between acoustic guitars and other string family associates, he frames them around an initially filmic intro and latterly, surging, FX-flush trance. 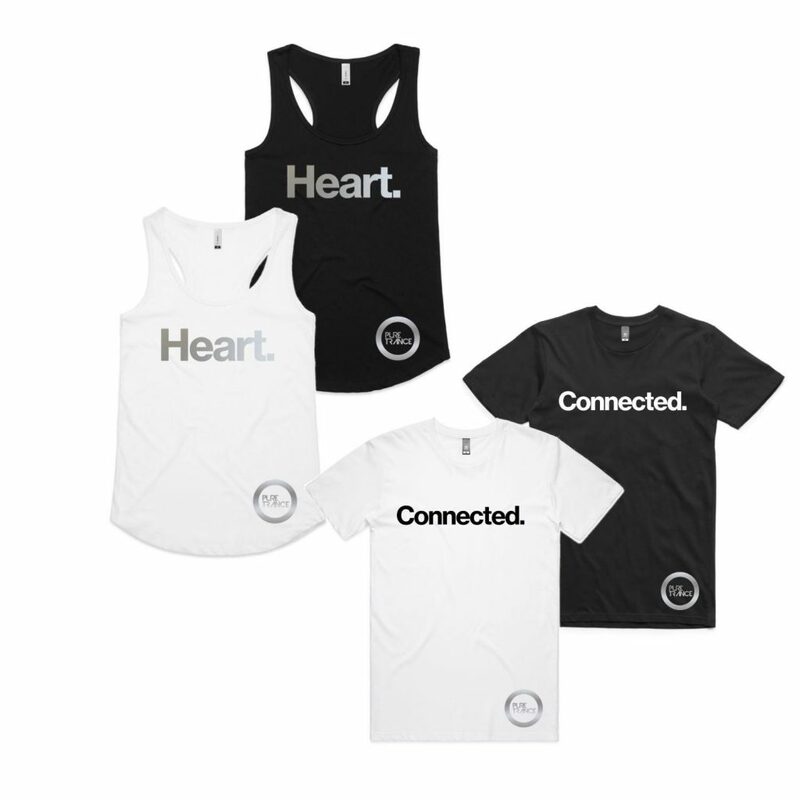 Two unique and high quality pieces of Pure Trance merchandise, available via our shop or simply by clicking here. A new year means new territories to discover, more good times to be had and even more awesome music to share! One of Solarstone’s new year’s resolutions is to bring you more live music experiences, and that’s exactly what we’ll bring you with Pure Trance Radio Expanded! Every other week, at 8PM (CET) on Saturday, Pure Trance Radio Expanded brings previously recorded live sets and guest mixes from beloved Pure Trance artists, as well as special editions of the radio show. And the best thing is: sometimes, you get to choose which set will air! 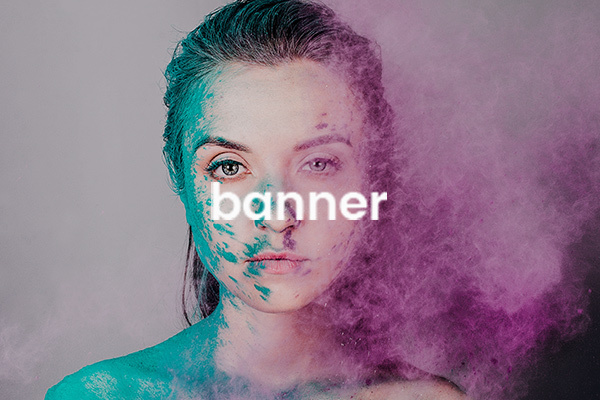 Running live on YouTube, Twitch, Periscope and Facebook, you and your trance friends get to enjoy a night out, without having to move anywhere. 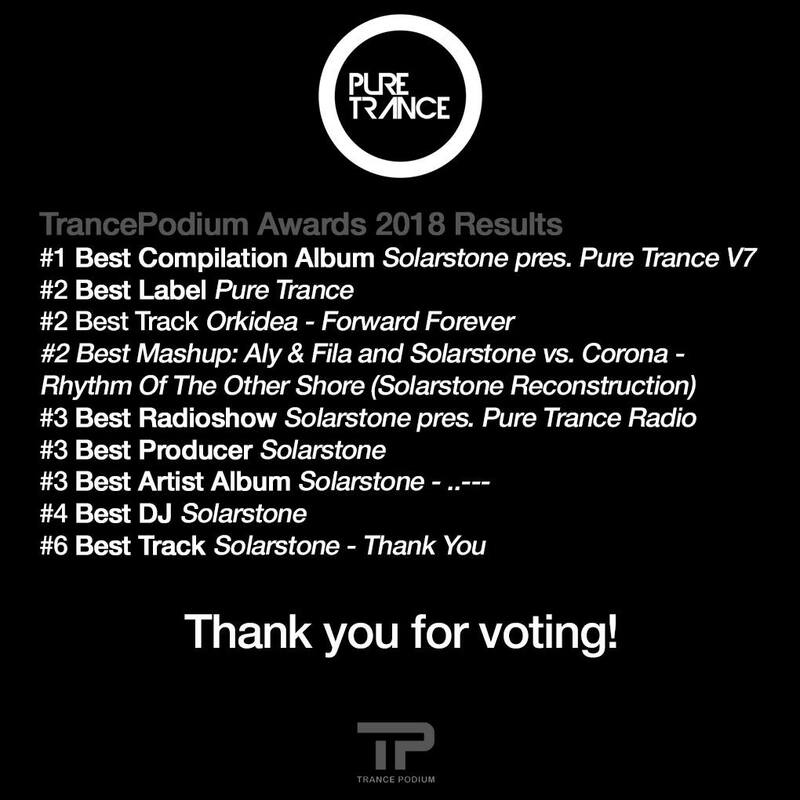 So keep an eye on the Solarstone and Pure Trance socials for voting and announcements, and enjoy Pure Trance Radio Expanded soon! Back in 2012 I recorded 'Jewel' with Clare Stagg, it was one of my favourites from the 'Pure' album. 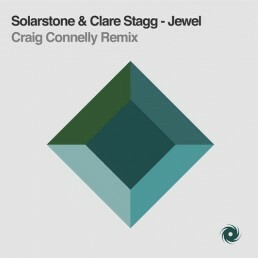 Craig Connelly reached out to me back in February '18 saying: "How do you feel about me remixing Jewel? 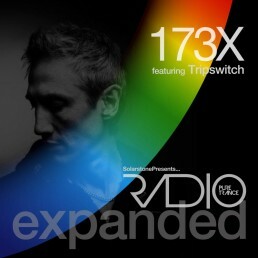 Its one of my favourite trance tracks of the last decade, would love to have a bash at it". Of course, I said: 'Yes' & "Do you think you could get it finished before ASOT next week?". He did, I debuted it at ASOT850 & now after almost a year of teasing, it's out on Friday the 4th of Jan in its full length glory. Thanks Craig for a super remix. Robert Nickson takes Solarstone’s already ‘big of riff, bold of pace & bass’ ‘Motif’ from the critically acclaimed ‘blue’ album and then strategically applies a liberal helping of his signature uplifting production, honing in on Motif’s Eye-Q tinged lead synth and adding a power-packed pluck line to propel it up through the rafters and beyond. 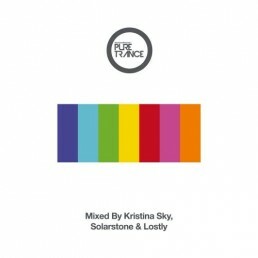 Solarstone drops a new Pure Pink Bomb. Some records - despite their brilliance - get lost in the mists of time, that ‘Classic’ tag (prompting inclusion on countless compilations) proving elusive. 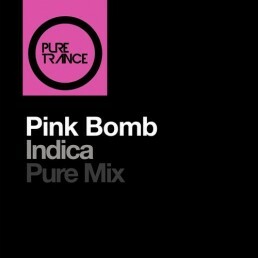 Indica, released on Quad Communications back in 1995 is one of those tracks. At the time it was supported by Sasha, Digweed, Warren, Oakenfold – it’s a long list. It’s one of those tracks that makes you sit up and listen, with its simplistic production, ethereal vocal sample and rolling breaks ‘middle bit’ it locked in countless dance floors back when the trance scene was in its Zenith. 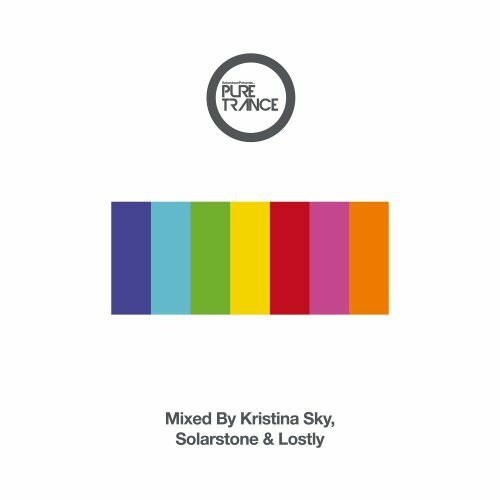 This Pure Mix by Solarstone is one of the key cuts from the forthcoming Pure Trance Vol. 7. It lovingly embraces what made Indica such a timeless record, applying just enough (but not too much) musical makeup to bring it up to date. The ‘middle bit’ from the original is firmly in place too, given a little frequency boost to make it sparkle on today’s high-end sound systems. Pure Trance is heading to seventh heaven! Out November 9th - Order Pure Trance 7 HERE. “Lostly currently reigns supreme”; “better with every track and remix”; “every release finds the net”; “yet more brilliance from Lostly” - just some of the plaudits that DJ Mag alone have placed at the German’s door of late. Whilst Andre Frauenstein’s enjoys an all-times-of-the-night DJing ability, for ‘Pure Trance VII’ he’s handling ‘the final set’. He wastes zero time in weighing in with recent voltage from Simon Bostock, Everlight, Sneijder, Liam Wilson, Indecent Noise and others. A man who always has a healthy resource of his own music to work with, he intermixes his disc with his own studio fare. Katherine Amy pairing ‘Forever’, Factor B union ‘Strandloper’ and (in solo-mode) ‘Reflection’ all land early craters. Latterly meanwhile, Scott Bond & Charlie Walker collab ‘Tides’, his own ‘Distant Shores’, and Allen Watts remix’s of ‘Trans Karoo’ likewise prevail.